Interface for 24V system that requires an external contact. 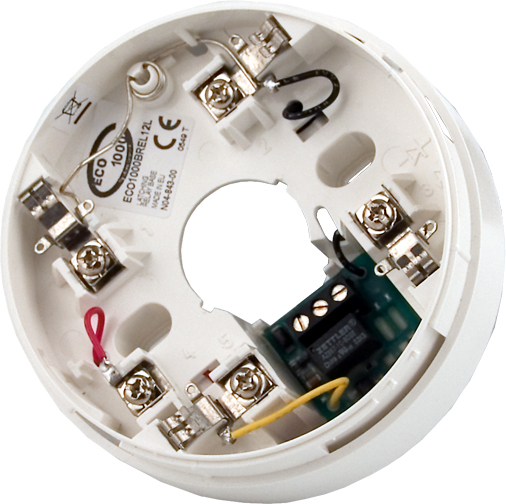 The detector stays in alarm until the removing of its supply voltage. A break-off tab allows the base to be connected to fire control panels. This tab should be broken when there is little current flow or no current limiting resistor such as when used as a 24V stand-alone system.